poils de loup There are 8 products. Calligraphy brushes: Beautiful calligraphy brushes Zhou Huchen. These brushes come from a reputed brand in Shanghai. This brush is in color, hare (Tu) a good size. Zhou Huchen brush have international reputation, they were selected as national gifts, and some are Tibet Museum. 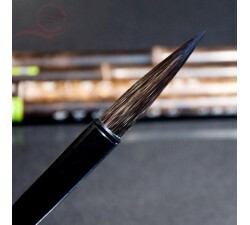 Calligraphy brushes: Beautiful calligraphy brushes Zhou Huchen. These brushes come from a reputed brand in Shanghai. This brush is in color, wolf and goat (Jian Hao) a good size. Zhou Huchen brush have international reputation, they were selected as national gifts, and some are Tibet Museum. 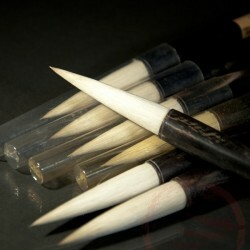 Brushes for calligraphy: This small brush of calligraphy with a very fine point. 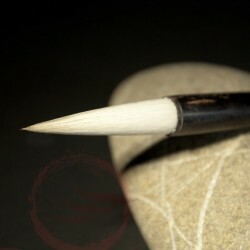 This Chinese and Japanese calligraphy brush is made of goat hair and has a tip of wolf hair. 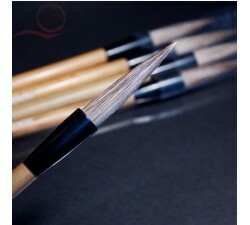 Fine brushes for Chinese calligraphy: If Chinese and Japanese calligraphy brushes is color, wolf, its bamboo handle. 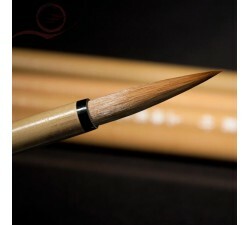 Good Chinese calligraphy brush, its tip is perfect with a good bulging in the middle. For regular writing brushes, hair goat wolf, size S, coat length 4.7cmx0.9cm Calculating postage at the time of registration! For regular writing brushes, hair goat wolf, size M, coat length 5.1cmx1.1cm Calculating postage at the time of registration!